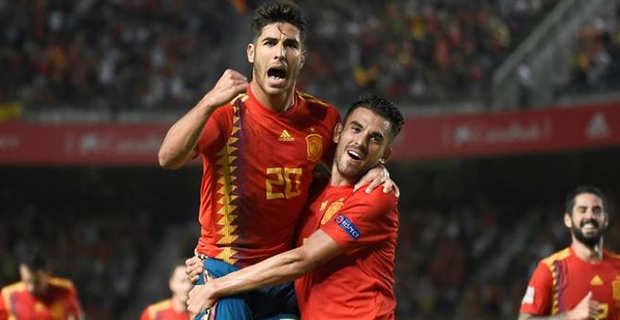 Spain soccer teams impressive start to the UEFA Nations League continued as they thrashed FIFA World Cup runners‑up Croatia 6-0 this morning. Spain's two wins out of two in the Nations League see them top League A Group 4 with six points. Croatia and England are both pointless after one game. Meanwhile, England returned to winning ways after three successive defeats as Marcus Rashford's second‑half volley gave them a 1-0 victory over Switzerland in a scrappy friendly in Leicester. Manager Gareth Southgate made nine changes from the side that lost 2‑1 to Spain in the Uefa Nations League game at Wembley on Sunday ‑ and for long periods it showed. England’s decisive goal came in the 54th minute when Rashford arrived at the far post to turn in Kyle Walker's cross after Switzerland failed to clear a corner.